If you’re one of our West Coast readers, you may very well be already familiar with Marlon Recreational Products. For the rest of you here is a quick snapshot – the Marlon name has been around for more than 40-years, starting out as a distributor of truck canopies to a small dealer network in Western Canada. 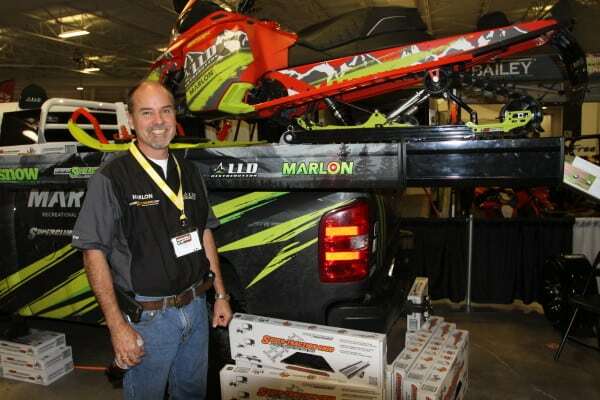 In 1996, the company was purchased by Bruce Cameron and the name was changed to Marlon Recreational Products to better fit the vision he had for the company. With Bruce at the helm, Marlon has greatly expanded its product offerings including several in-house manufactured items including trailers, jon boats, utility boats, and most recently pull behind ATV and street bike trailers. This alone was enough to attract our attention, but when we got a first-hand look Marlon’s latest truck deck for snowmobiles, ATVs and side-by-sides, we became a little bit smitten. The craftsmanship, attention to detail, features, and quality are all top shelf. Fortunately, Bruce attended this year’s Toronto International Snowmobile, ATV & Powersports Show, and we spent some one on one time with Bruce to bring you this installment of 5 Minutes With. 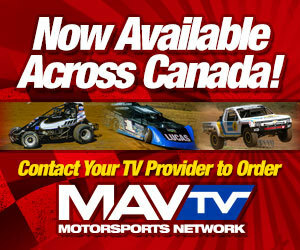 Marlon has certainly built a strong reputation in western regions of Canada and the United States. Can you give us some insight and background on the company for those of us east of the Rocky Mountains? This year Marlon celebrates its 40th anniversary. I bought the company 20 years ago and I took it in a similar but different direction from where it was. 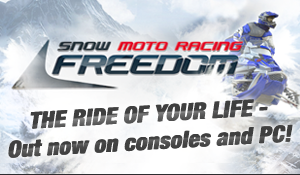 I’d say the company is more focused on the marine and motorsport industry now, and we work hard to provide our dealers with the best products in a timely manner. We currently have three locations in Canada and one in the US, with plans for future expansion very soon. Our growth really started in 2010 when I decided to expand into Alberta. We grew our sales dramatically that year and we quickly needed a much larger facility. The following year we not only constructed a new facility, but we also opened another in Manitoba. Some may have thought I was crazy to expand so quickly, but I was surrounding myself with the right people who not only had industry experience but the right attitude to grow the business. With easy sliding expandable sides, the Xplore truck deck can be expanded to fit two sleds or a side-by-side, and then easily pushed back in, retaining the standard width of your truck for everyday use. In April of 2012 we opened another facility in Tacoma, Washington. We quickly learned we had just tapped into a much larger customer base with the U.S. expansion, and we subsequently geared up our product offerings and customer service support. We’re now working with LLD Distribution based in Ottawa, Ontario to deliver Marlon Products to Eastern Canada, and we’re currently having conversations with others in the eastern United States to become Marlon distributors as well. The acceptance and growth of our products has been off the charts and I’m proud to say we now have inquires for Marlon throughout Canada, the United States, and even Europe. We continue to develop products that are unique and offer user focused features. Our product development is really quite simple…everyone who works at or is associated with Marlon are enthusiasts…they’re out enjoying the sport and using the products. This first-hand experience along with dealer and consumer feedback steers our future designs and product development. We love getting feedback from people who are using our products, it truly fuels what we develop next. To take this a step further, we’re currently developing a new website that will place a high priority on gathering product feedback from our customers. Of course the challenge with any small business is finding enough time in a day to get it all done, but who needs sleep right?! Sled decks have become a popular option in recent years versus trailers. What do you attribute to this growth in popularity? Both the headache rack and the deck itself feature bullet LED lights for stylish good looks and ample lighting for loading and unloading. There’s even LEDs under the deck operated by a convenient switch located at the back of the deck to light up your cargo. There are numerous reasons but I’d say ease of use and convenience are at the top. They (decks) make it not only easy to load your machines, but once you get home you can leave your sleds, ATVs, or side-by-side locked on the deck. There’s no need to take them off, or put the trailer away. A deck saves space, not just on the road but also storage space at home during the season. In the summer I often find myself pulling a boat, and a deck allows me to also haul a side-by-side to the cottage for the weekend. In the West the deck became popular because in most cases it can be really difficult to pull a trailer up a narrow mountain road and find a place to park it or get turned around. With a deck you not only have a more nimble vehicle to haul your sleds, but the added bed weight gives you a lot more traction. In the mountains it’s not unusual to see four people going out riding with a crew cab pickup with two sleds on a deck and two more on a small trailer behind. I use mine for all the toys but also find myself hauling just about anything such as lumber or patio doors to the cabin. Decks are obviously very practical but they’ve also become a bit of status symbol in some cases and can be that one additional truck accessories to set your truck apart from the rest. When they’re built right with a focus on style, fit, and finish, they can look cool. The build quality and fit and finish of your decks is quite possibly one of the most refined decks on the market. Can you tell us about it and some of the features you feel makes it really stand apart? The new Xplore deck design touts an extruded side allowing Marlon to integrate a host of features including Supertrac adjustable tie-down strips the entire length of the deck. This gives you the versatility to place the four included tie downs anywhere. I am glad you noticed, I really appreciate it. We use our decks all the time and we want to make things easy. The features of our decks are easy to use and more importantly they work. Things like UHMW (plastic) on the ramp tray is obviously a simple solution, but it’s something other decks don’t offer and it really helps the aluminum ramp slide in or out – aluminum on aluminum doesn’t slide well, especially after spending some time in the elements. We apply this same thinking to a unique extrusion we developed that allows our side extensions to slide in and out with ease. The use of an extrusion also keeps the dirt and salt out, thereby eliminating binding and making it easier to clean. Other features including adjustable legs that can be converted to fit both a short box or today’s super short boxes. This way you can get a new truck but not have to get a new deck to fit. This year we debuted some major changes to our decks and the feedback has been incredible. We kept the same proven infrastructure but we added a host of features and also looked at the styling of the deck, something that I think is very unique to our design. The biggest change was the development of an extrusion for the pull-out sides of the deck. This not only allowed us to incorporate many new features such as Supertrac tie-downs and Superglides, but the sides are now contoured for a great look and smooth finish that can be customized with wraps to give it a personal touch or match your truck. The standard Superglides on the deck top are secured neatly into an extruded channel. This clean look gives you more deck surface area and eliminates a common place for dirt and ice to collect. We offer two versions of our decks, the standard Xplore or the Xplore Pro which comes fitted with a long list of standard features including Superglides, Superclamp tie-down system, aluminum decking, and LED lighting both on the outside and under the deck to give you cargo space lighting. Both feature our telescopic ramp, with no pins or two-piece designs to mess with. They are easy to use and take up less space under the deck giving you more room for cargo. So far we’ve received nothing but positive feedback on the new design. We have several BRP ride ambassadors, resorts, and companies like SnowRide Adventures in Whistler using our decks and everyone loves how the work and how they look. Decks are big in the western markets, do you see the trend catching on in the Midwest and East? Yes, I do. We’ve been seeing this take place over the past two years and its one of the reason we’re expanding our reach to the eastern markets. The response we’ve gotten from the Toronto show has been overwhelming. A lot of riders have seen Truck Decks but they then tell us they’ve never seen one like ours. We’ve been getting requests daily from riders in eastern Canada and the United States…it definitely has us excited about the growth opportunity it represents. Innovation is clearly a design objective with your decks. Can you give us any insight on what other innovations or products you might have coming? Marlon decks features a telescopic ramp that glides easily and provides additional cargo space under the deck thanks to its compact, one-piece design. We have some cool stuff coming for the off-road market such as our ATV Riser, which allows you to load your ATV into a short box truck and still close the tailgate. Obviously we’re always working on new products, and we have many new features and designs that are currently being tested and we hope to have those available very soon. The changes to the Xplore deck has given us a platform from which we can develop new features and accessories that will greatly expand the versatility of the deck. I don’t want to let the cat out of the bag too soon, but I can tell you there is rack coming that will easily snap into the Supertrac and allow contractors to carry gear such as ladders during the week and is then easily removed so you can load your sled or ATV for the weekend. There’s a lot more in the pipeline as well and I’ll be sure to keep OSM in the loop as soon as they become available. Everywhere you look on the new Marlon Xplore Pro deck you’ll find attention to detail, superior craftsmanship, and thoughtful features that are not just gimmicks, but provide real benefits.